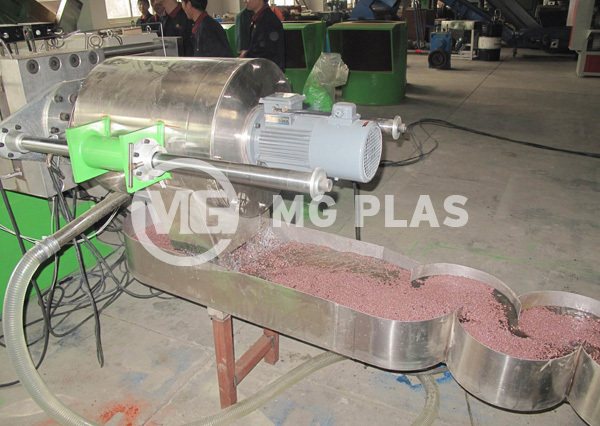 Water-ring plastic granulator is equipped with water-ring pellet cutter, it is designed for recycling the waste plastic materials into granules, for example, PE/PP films, scraps and flakes, etc. 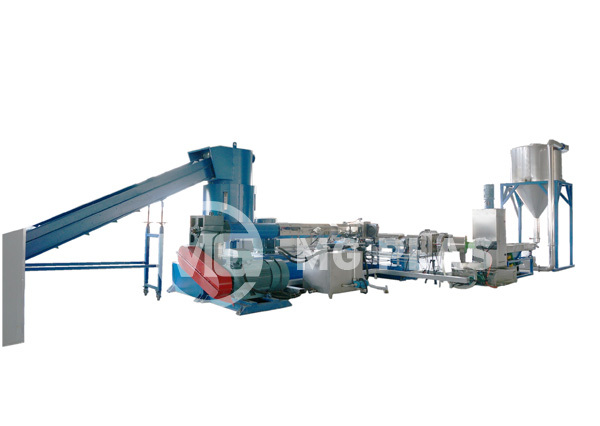 Currently, we can supply the water-ring plastic granulators with capacity from 100-500kg/h, the main extruders includes SJ75, SJ90, SJ100, SJ120, SJ150, SJ160 and SJ175. 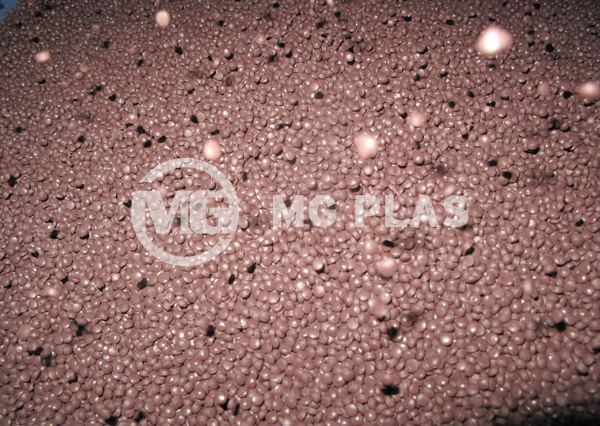 Based on the different material properties and shapes, MG Plas will provide the suitable proposal separately. 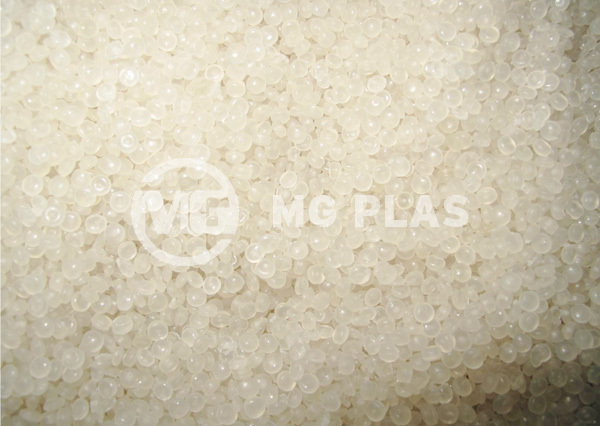 Note: For the higher quality granules, the waste plastic must be clean, therefore, some waste plastic such as dirty PE/PP film, flakes of bottles and barrels must be washed by the specially washing line. 1, High working efficiency, energy saving. 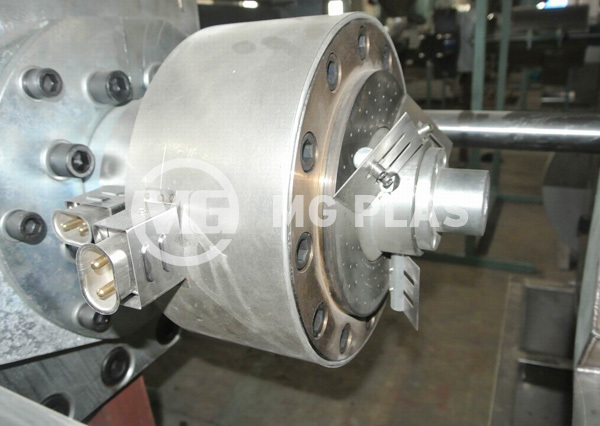 2, Different pelletizing designs, for example, water-ring cutting, strand cutting, and underwater cutting. 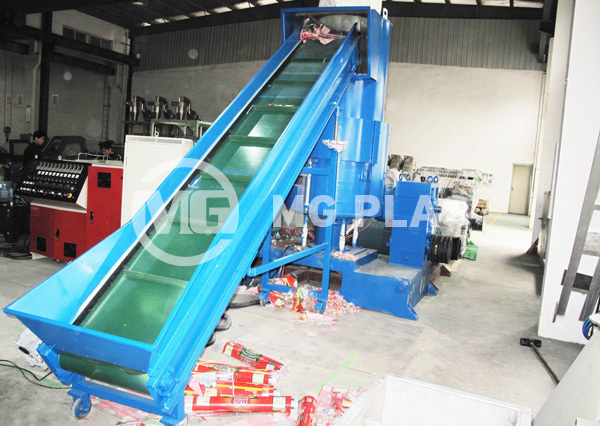 3, Automatic screen changer ensure the operation safety. 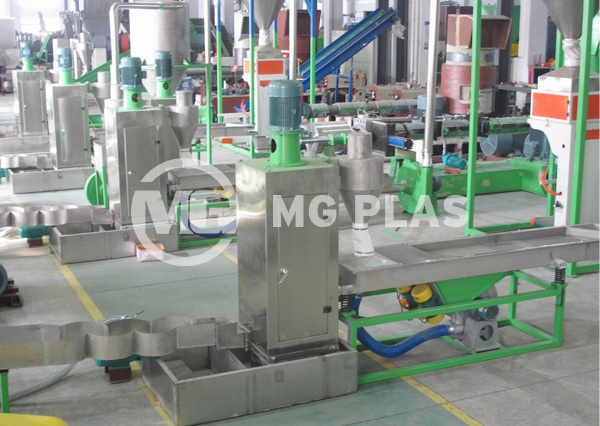 4, Multi-exhausting and filtering designs ensure the high quality of pellets. 5, Whole solution for fume treatment.